In my short trip to Devon last month I managed to pack a lot in. I’ve already told you about the marvellous Arlington Court and the Carriage Museum. That visit took up a whole day. My second day was spent exploring. 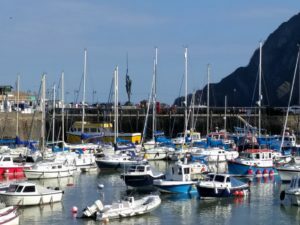 Heading north up the coast, husband and I ended up in Ilfracombe. Now, at the end of the season, one would expect things to be quiet, but I wasn’t expecting it to be as quiet as it was. 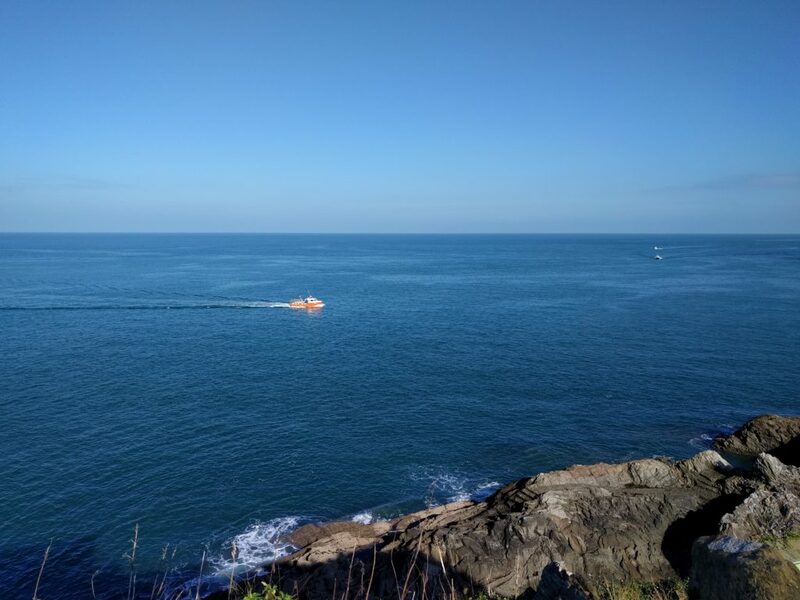 Friday, a busy day where I live, was the opposite in Ilfracombe. Many of the shops on the extensive and almost deserted High Street were closed, even some of the restaurants. I began to wonder if the recession still had a grip on this essentially lovely seaside town. Yes, I did say lovely; ignoring the run-down aspects of some of the shop fronts, the High Street is a wonderful mix of architecture and large chains do not dominate. Heading towards the harbour, the High Street divides into two. 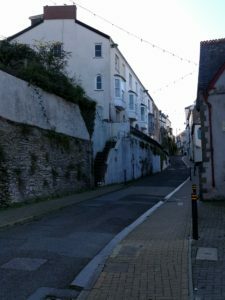 We took the decision to turn left into Fore Street a narrow, winding road, with many old buildings, some dating back as far as the Middle Ages. It almost felt like we were travelling back in time. 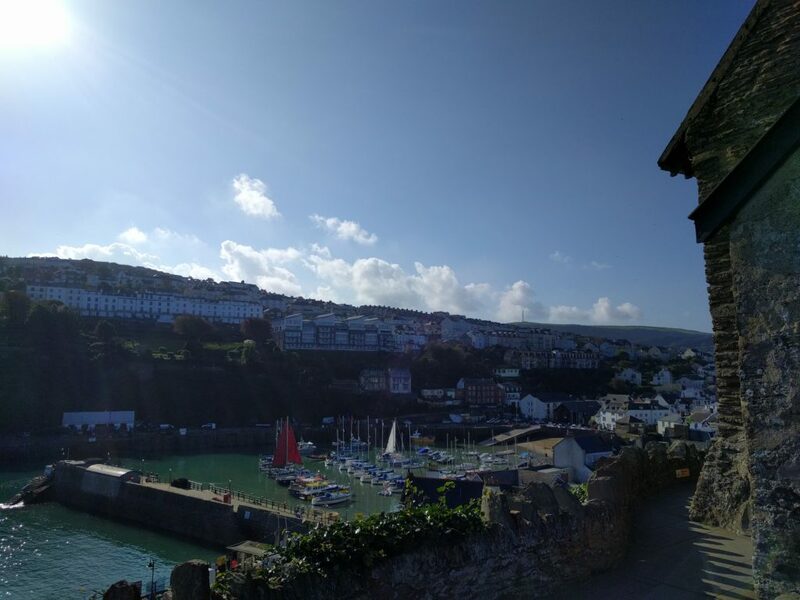 Fore Street leads to the harbour, which has been a port since at least the twelfth century. The harbour itself is delightful, with small boats moored on the water, bobbing about in the breeze. 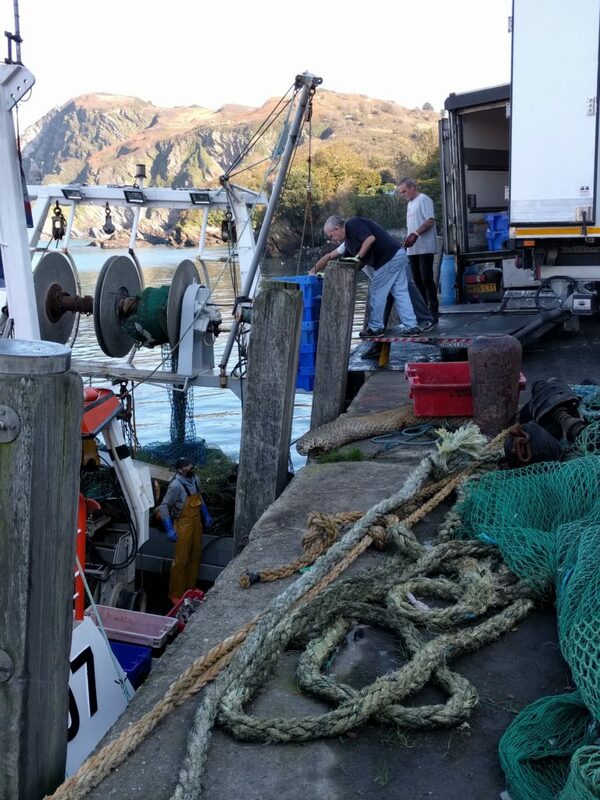 There are also workmanlike fishing vessels – we watched one that had come in on the tide unload its cargo of crates packed full of fish. Seagulls swooped overhead, looking for an opportunity to filch a free lunch. And of course there was the RNLI (Royal National Lifeboat Institution) station, doors open to display the impressive rescue craft. In action, I’m sure that it is a very welcome sight to people in trouble on the seas. Dominating one side of the harbour, looking out to sea, is Damien Hirst’s fabulous Verity. A larger than life (20 metre) bronze depiction of a pregnant young woman, holding a sword aloft in her left hand and the scales of justice behind her back in the other. What makes this sculpture so different, apart from its enormous size, is that one side of the figure is shown dissected, all the sinews and muscles, including the foetus, exposed to view. A truly amazing and somewhat disturbing image. But isn’t that what art is supposed to be? Something that makes us stop and consider. Verity certainly does that. Above Verity, looms Lantern Hill with the fourteenth century St Nicholas’s Chapel. A light to guide ships into the harbour is housed in the top of the chapel; it is said to be Britain’s oldest lighthouse, having been in operation since at least the mid seventeenth century. 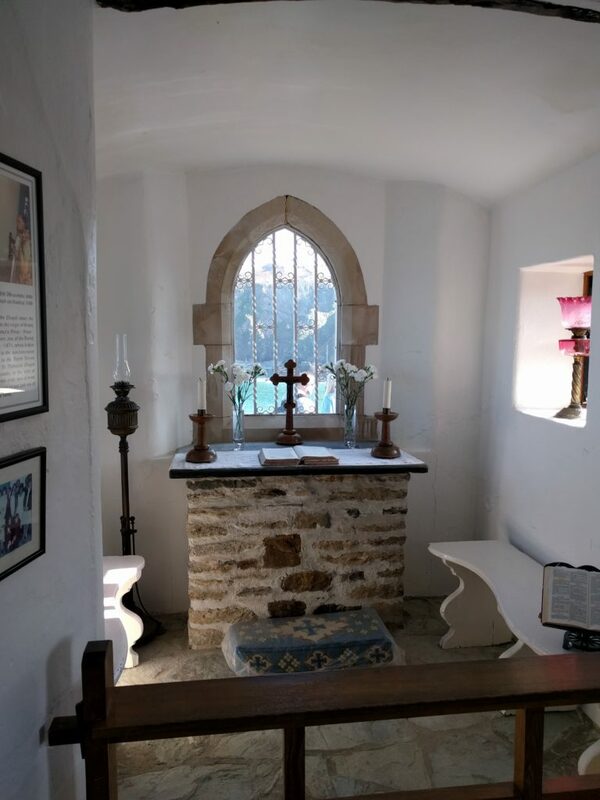 The chapel and house is well worth the climb, not only for the fabulous views over the harbour and out across the Bristol Channel, but also to see the living conditions for the lighthouse keeper and his family. In the nineteenth century the keeper was John Davey and he lived there with his wife and fourteen children – yes, fourteen, and in such cramped conditions. I couldn’t help feeling sorry for Mrs Davey and wondered how she managed to keep her youngsters from the cliff edge. As you will know, one of the highlights of a trip out for me is lunch. This was no exception, and being so close to the sea, what could be better than seafood? To one side of the harbour we discovered a small fresh fish shop and restaurant, in fact it was one of their vessels that we had watched earlier unloading their catch. Sharing a platter of seafood, a glass of wine each, and watching the world (and the sea) go by, what could be better? After our late lunch, we enjoyed a brief stroll to the more modern developments on the other side of the town near the seafront. I must say, I preferred the older part of town, imagining what it was like in the early nineteenth century when Fanny Burney stayed there in 1817. 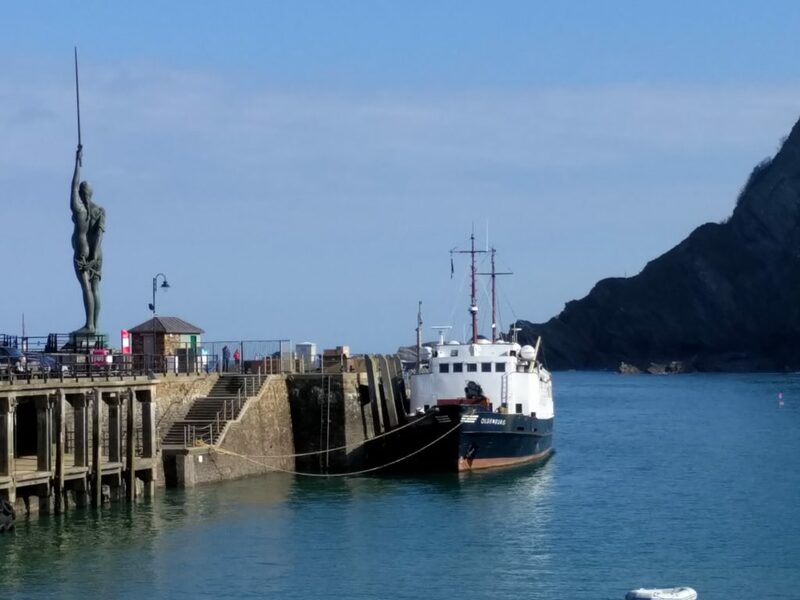 According to her diary, she enjoyed a very eventful visit, recording two ships in distress, a captured Spanish vessel, and having her own narrow escape from being cut off from dry land by the incoming tide. 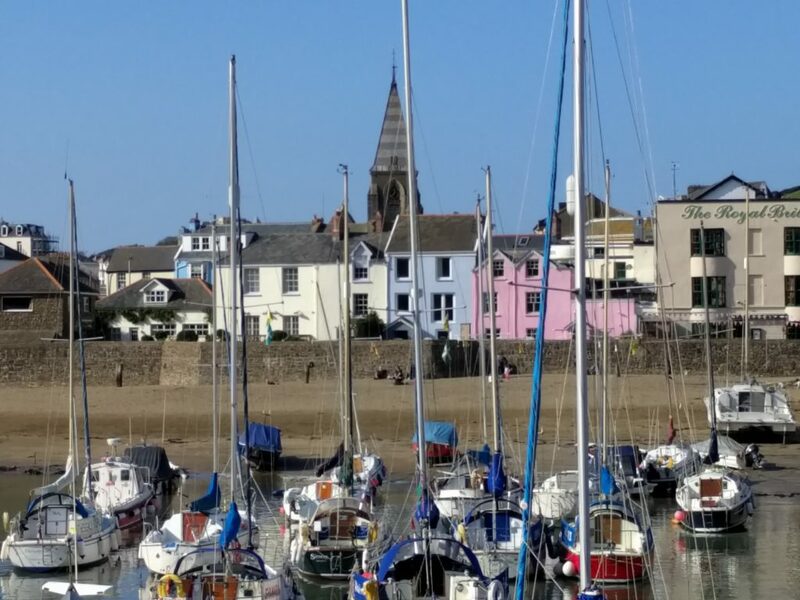 Other famous visitors include the author, Mary Ann Evans (pen name George Eliot); the physician and editor of an expurgated edition of Shakespeare, Thomas Bowlder; Irish nationalist, Anna Catherine Parnell, who drowned at Ilfracombe in 1911 and is buried in the town’s Holy Trinity churchyard. 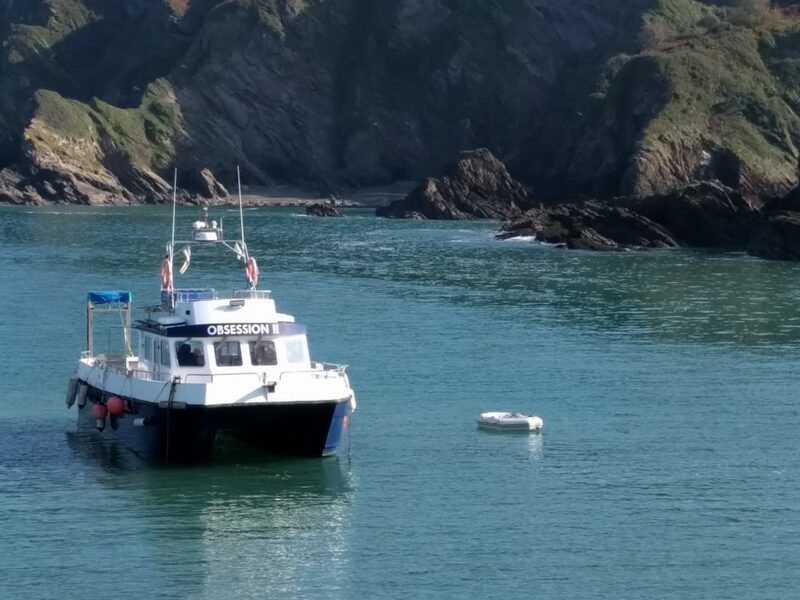 As one might guess, Ilfracombe also has connections to several important seafaring families, one such being the Bowens. James Bowen (1751-1835) was the commander of the fleet that rescued the British Army at Corunna during the Peninsular Wars. 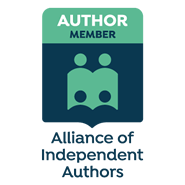 His younger brother, Richard (1761-1797) saw action in the American War of Independence and the French Revolutionary wars, serving with Nelson and being killed in action at the Battle of Santa Cruz de Tenerife. James Meek, Comptroller of Victuals to the Royal Navy and eventually knighted, settled in the town on his marriage and lived there until his death in 1852. Well, all good things come to an end and it was soon time for us to return to our base to pack for our journey home the next day. 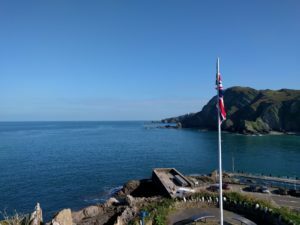 I hope you’ve enjoyed my snapshot of Ilfracombe; it is a place I intend to visit again. I didn’t have enough time to view everything, not least the tunnels constructed in the 1820s to permit access to the town’s beaches. May be next time.